Want to see the house of tomorrow? It’s here in Rockville today, and it’s free and open to visitors. 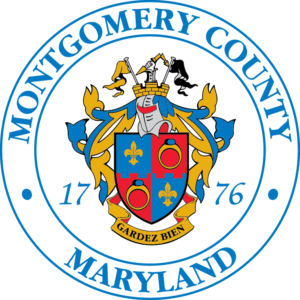 Tucked away on a secluded stretch of Gude Drive in Rockville is the Montgomery County service center for Pepco. Unless you’re paying your bill or lodging a comment, you may not think there’s much of a reason for the rank-and-file citizen to seek it out. Before Earth Day 2014, you might have been right. But now there’s the Pepco WaterShed Sustainability Center. It’s a model home that is full self-sustaining in energy and water use—also known as a “net zero” facility—and a visitor’s center with hands-on experiments and meeting space. 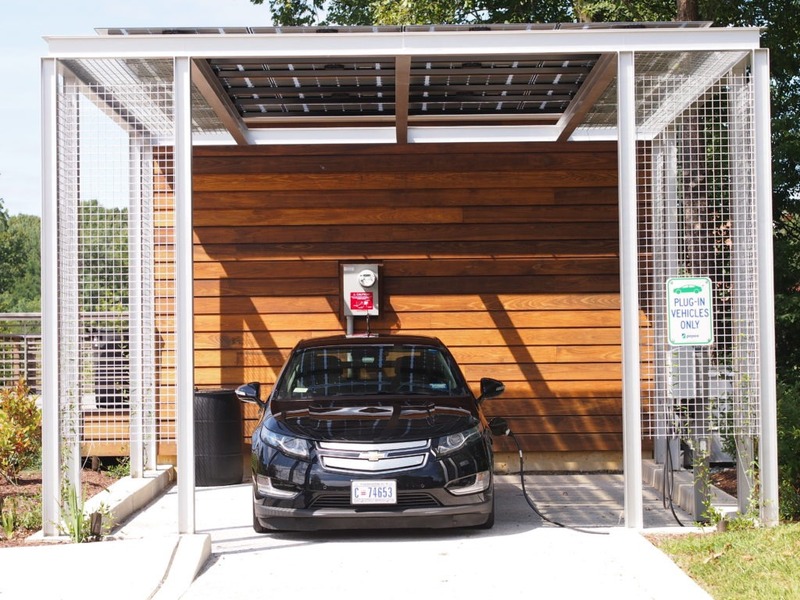 The electric vehicle carport at the WaterShed Center has solar panels on top and vertical gardens that help capture and filter rain water. The home was originally conceived as part of the 2011 Solar Decathlon, a contest created by the U.S. Department of Energy. A group of University of Maryland graduate students, Tjaden included, set to work on their entry. WaterShed was the fruit of their labors. The house won the competition and was acquired by Pepco in 2012. 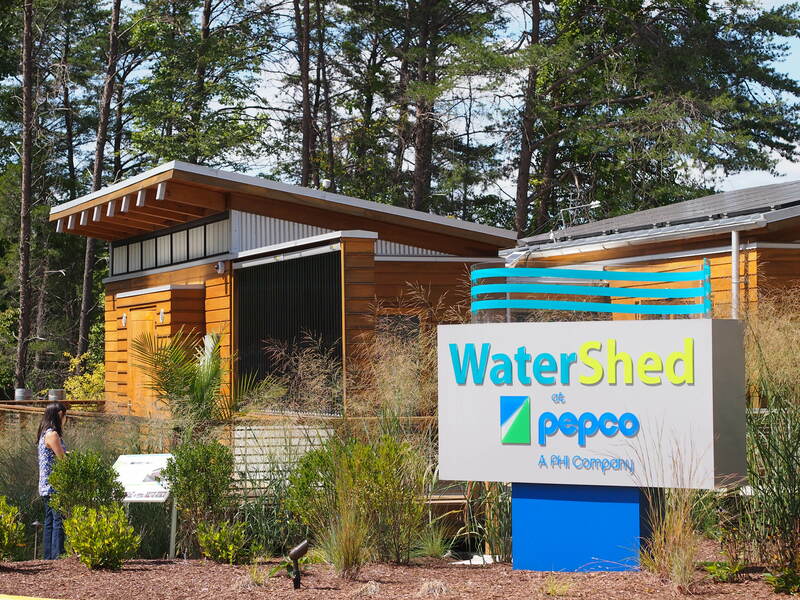 According to Scott Tjaden, the WaterShed site manager for Pepco, about 75 visitors pass through the center each week, ranging from families to business groups to curious passersby. Now, Tjaden said, WaterShed’s main mission is educating and engaging people on energy efficiency, better water management, smarter building materials and other components of the optimally efficient home. The house is fully stocked with streamlined appliances and furnishings, not to mention several solar panels that help to power the home, which is set to operate as if a family was really in residence. 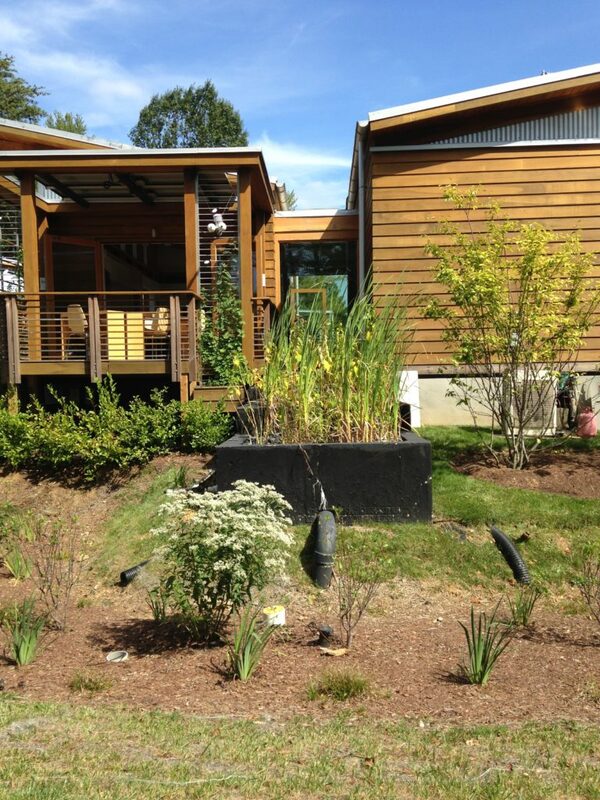 Constructed wetlands in the back of the house capture stormwater and greywater from sinks and showers. As WaterShed’s name implies, managing water is a key component of the project. “Being close to the Chesapeake Bay, we wanted to think about a property’s impact on water, both improving water quality and reducing water quantity downstream,” Tjaden said. * Constructed wetlands filter and capture stormwater as well as “greywater,” or used water from indoor sinks and showers. Used for irrigation, this captured water reduces fresh water consumption by 30-50 percent per year. * Two mini-split heat pumps. Forty-two photovoltaic solar panels generate up to 9.24 kW of electricity each day. This is just a sampling of the ways in which the WaterShed is a model of clean living. Want to learn more? Visit the center at 201 West Gude Drive in Rockville. Guided tours are available Monday through Friday, 10 a.m. to 3 p.m.
For more, visit the Pepco WaterShed Sustainability Center website. 2 comments on "Pepco WaterShed Center: The home of the future"
OK, does anyone else see what’s wrong w these pictures? You will save a lot more energy, protect the watershed, and provide wildlife habitat by having large native deciduous trees overhanging your house. They should be elsewhere, too. The trees will lower the need for air conditioning, the most significant use for electricity. Trees shading the roof with white shingles will get you much of the benefits of a green roof, maybe more, and without the maintenance and spread of alien invasive species. And if you are going to have solar panels while waiting for the trees to grow (why did you cut the trees down in the first place? ), why not place solar on the roof rather than in the yard where they are blocking plant growth? This house seems designed with quite a bit of shortsightedness–intended to show off technology rather than practice real environmental conservation/protection. Could have done much better. It might not be clear from this article, but this house was built elsewhere and then purchased and moved by Pepco to their site in Rockville. The physical attributes of the outdoors are limited by the location and if you visit that’s made pretty clear. This is meant to serve as a building model.